Turn your website into a phishing site and commit fraud / theft on your clients & users. Steal your customer confidential information. Use your website to send spam emails out to millions. Place malware code on your website which will install harmful viruses on your customers / users computers. Use your web server to hack into other servers. In the process hackers can destroy your company’s reputation, its Google rankings and may potentially require a site wide reconstruction. Sound Scary?? It is, but we can help. Don't wait until your web site has been compromised and the situation is desperate. Act now and make it as hacker proof as possible, so the worst never happens. We will scan your site and find / remove any existing virus and malware code. 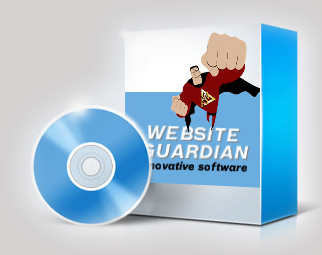 We will install our custom website guardian software that continually watches and protects your site. The ability to easily lock and unlock all the files and folders on your website. This makes it almost impossible for hackers to add malicious code to your website. The Website Guardian scans incoming IP addresses looking for users that meet pre-defined parameters. If the user falls into one of those parameters, they get locked out. Your website apache log files are checked every minute looking for suspicious user activity. If found that users IP Address gets locked out and they have to go away. You will be alerted to any files/directories that have been changed or added to your server. It doesn't matter how well they have been hidden. A malware/virus scanner detects any suspicious files and makes finding them and dealing with them much easier. Contact the Website Guardian's today to talk about your website security. Ask Us About Our Guarantee!